They say a frost is coming tonight, so I thought I'd better pull out the tomato vines before they freeze in the soil and stay that way until next spring. 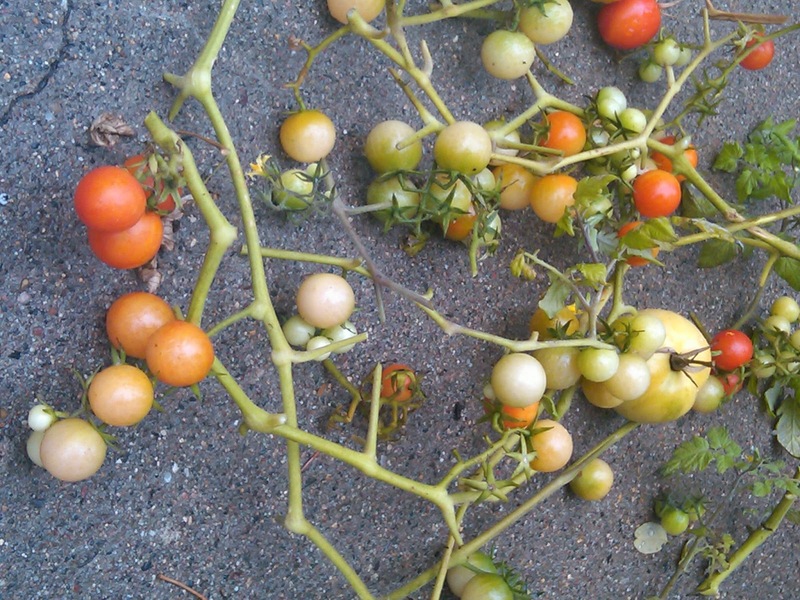 I had quite a few cherry tomatoes left, albeit green, but I hate to waste good produce that my kids so diligently watered all this dry, hot summer. 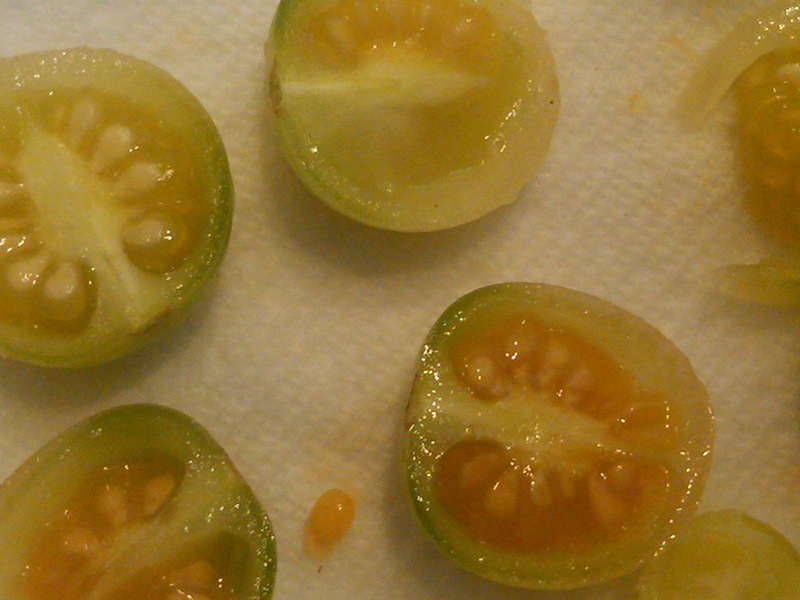 So why not try fried green tomatoes on a small scale? These need to be eaten immediately, so have your lucky people sit around while you batter and fry. The crust is salty and crispy and the tiny tomato pops inside with a little tartness. Nice contrast and a perfect bite. These would be really good with a dot of herb mayonnaise (or a dip in Scratch Ranch), but they're also delicious just as they area. Makes saying goodbye to summer a little easier. * If you're out of buttermilk, put a teaspoon of white vinegar in regular milk and let stand for 5 minutes. Cut the tomatoes into slices, sprinkle with salt and let drain in colander or on paper towels for about 20 minutes. Combine flour, baking powder, salt, pepper and cayenne in small bowl. Put buttermilk in another bowl. Dredge tomato slices in milk, then flour, shake, and set on a plate. Heat oil in heavy pan to until shimmering and gently lay in tomato slices (if they sizzle around the edges, the oil is hot enough). These cook quickly so keep an eye on them and be ready to turn when brown, less than a minute. Two forks work best for flipping these tiny wheels. When golden on both sides, remove to paper towel, sprinkle with salt and enjoy. P.S. 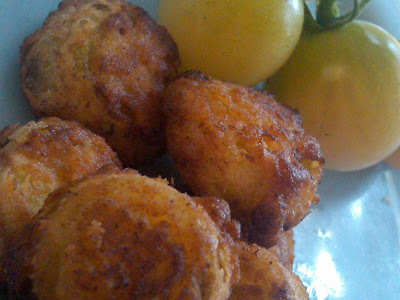 On a lark, I fried up some red cherry tomatoes too. They were also tasty, but a little wet.